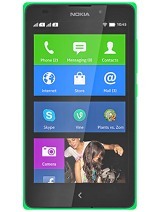 Sid, 11 Mar 2014Is whatsapp compatible with this handset.... Nokia x??? ?Yes it supports watsapp. a. no.its doesn't have a Google store..but you have other stores..the best is 1mobile.you will find any application there including spotify.saavn,chrome ,firefox and all others...almost 70 percent application of andriod are available. a. no..i played temple run 2..run applications like spotify,realplayer,mx video player,vlc,picart,bookmyshow,skype,tubemate,wina­mp.tunewiki,google play list is endless...all are working fine. kandy, 14 Mar 2014Can I open more than one window at a time? Can I download all android applications like other... moreu can do everything u asked. go for it. kandy, 14 Mar 2014Can I open more than one window at a time? Can I download all android applications like other... moreyes dear u can do everything what u can do in any android phone. go for it. Does it plays heavy games? and can be rooted? and also it have equiliser in sound system? Anonymous, 14 Mar 2014No! Android may be "Anti-Nokia", but Nokia is not "Anti-Android". I think,... moreMicrosoft is "Anti-Android"
Can I open more than one window at a time? Can I download all android applications like other android mobiles do? Can I open ordinary videos in it? or else any special requirement for it? Can I watch online videos? How is the internet speed? in 2G & in 3G? Is that sensing more heat while talking more than half an hour continuously? Nitish, 14 Mar 2014Does it support what's appyes it's support what'sapp,viver,wechat,Skype etc. it's android phone dont very . I found all applications on nokia store & also store1 is there. Ajmeer, 14 Mar 2014Can we play 720p or 1080p videos?We can play only 480p videos at 30fps. can i minimize & maximize applications? can i download several files at a time? can i do another work when something is downloading? please help me. 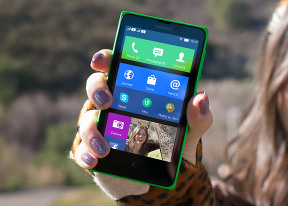 there is a lot of problems in downloading in LUMIA's phone? 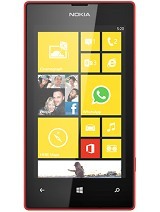 is that same as LUMIA or it will make difference? Can we see the you tube videos online or not in this phone?please reply.thanks in advance.